October 2016's LookFantastic Beauty Box is themed #LFPamper, with products for relaxation and pampering. 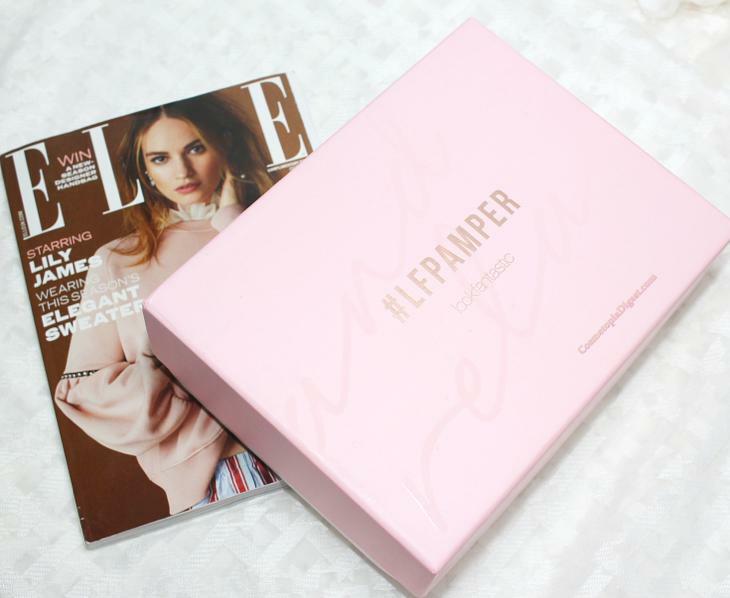 The baby pink box comes with this month's issue of Elle UK magazine - they had not included the magazine with the two previous boxes, and I am glad they're sending it out again. Beauty box subscribers will be happy to note that there are NO product repeats from this box in the 2016 LookFantastic Beauty Secret Advent Calendar - whose spoilers and full contents are here (TWO products make up for the entire cost of the calendar). From the theme, I expected face and hair masks, bath bomb, body lotion/butter/oil, a hand cream and maybe a loofah. 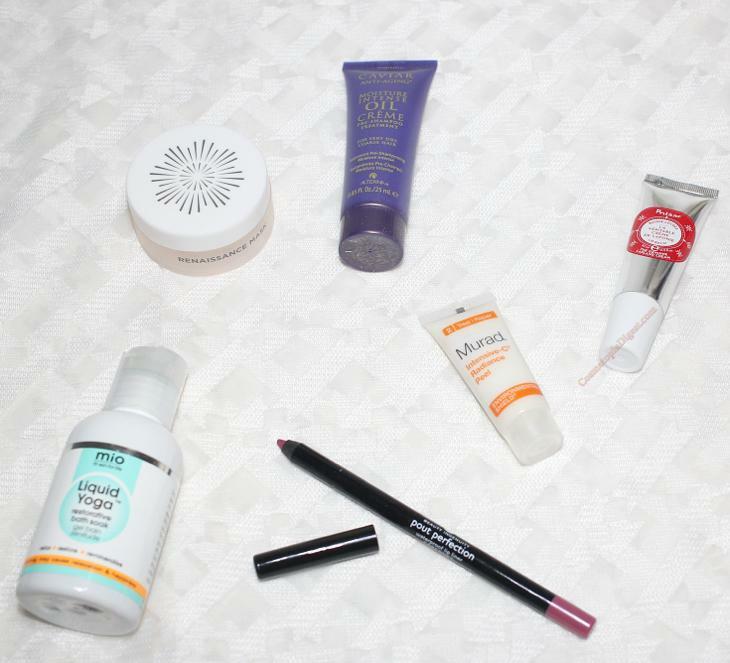 Scroll down for the contents of the LookFantastic Beauty Box for October 2016. This MADE the October box for me. I already have a full-sized tub of this amazing face mask, and am always surprised by how much my skin glows after each application - it is packed with fruit acids (passion fruit, grape, papaya and lemon), and also contains Oskia's signature ingredient, MSM (methyl sulphonyl methane; the purest form of sulphur on earth). Relaxation in a bottle. Contains epsom salts, lavender, arnica, and mandarin. Will be using this for a pampering session, maybe next weekend. A beautifully creamy pencil that glides on and gives full coverage. I got the shade "Cabernet". From the name, I thought it would be more wine-coloured, but this is a beautiful dusky mauve - exactly my kind of shade. A weekly exfoliating treatment - Glycolic acid, Vitamin C and Indian fig work together to unclog the skin. I've tried other Murad products in the Environmental Shield range, but not this peel - will try out next weekend. Contains Arctic berries (blackberries, Lingon berries and Polar berries) to nourish the skin. My lips are at their flakiest worst in the last quarter of the year, and they need all the help they can get. A pre-shampoo treatment with frizz-fighting caviar extracts. I prefer pre-shampoo treatments to post-wash ones, because the latter tend to grease up my hair. I've tried the Alterna 10-in-1 leave-in before and love it. Will try this out over the coming weekend. Oskia's Renaissance Mask was an excellent choice, and it made this box one of 2016's best, for me. 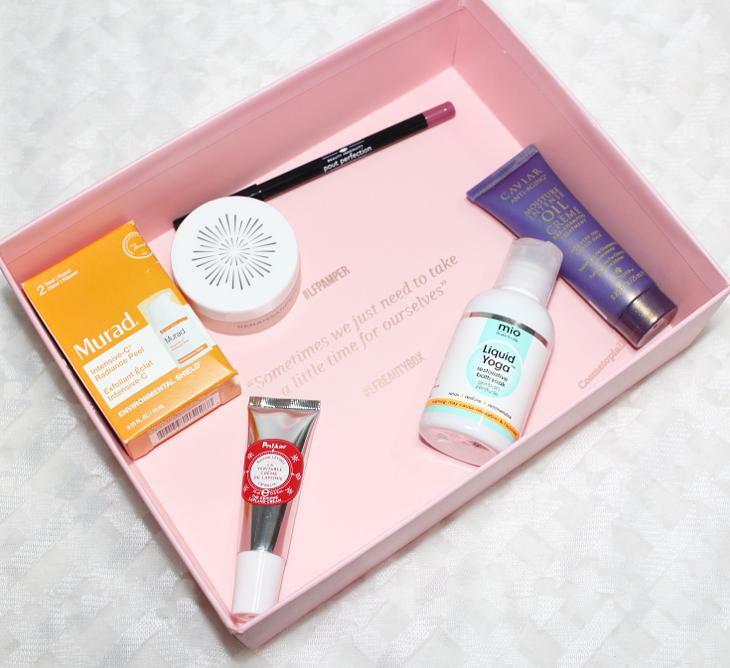 The hair and face masks, peel and bath soak certainly suit the theme, though I wonder how the Laura Geller lip pencil fits into the pampering box. That said, I love that pencil; it is the perfect shade for me, and it is great to see a full-sized makeup product in what is usually a skincare-centric beauty box. 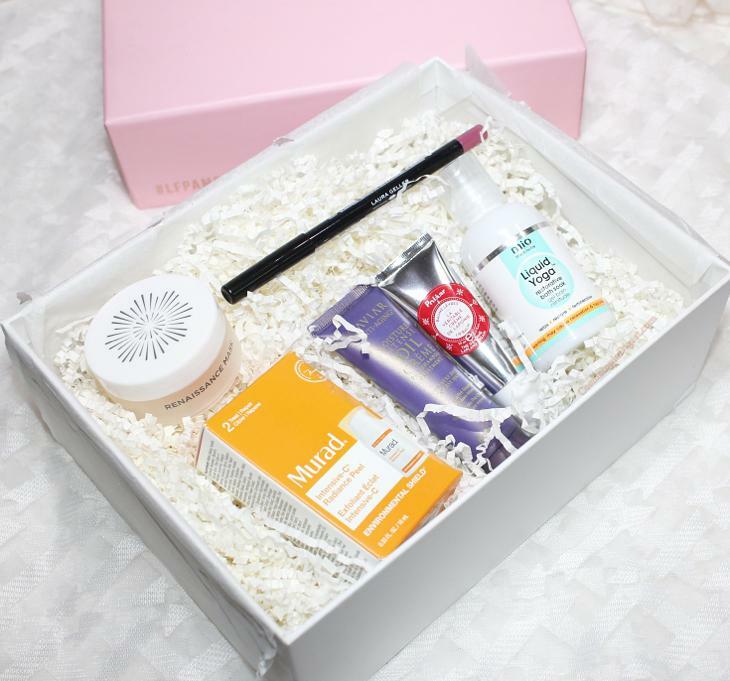 LookFantastic ships their beauty box worldwide. An individual box costs £15; a long-term subscription reduces the price of a box to £11.25. Go here to subscribe - either as a lovely Christmas gift, or as a treat for yourself! To buy the 2016 LookFantastic Beauty Secret Advent Calendar, click here - spoilers and full contents here - before they are all gone. Go here for this week's Monday Makeup Madness link party.